There is no doubt about it, split testing paid traffic can be confusing. Even if you know what numbers to review, it’s hard to know what they mean or how they can guide your strategy. If that’s you, I’m going to clear that up for you in this article. I’ll show you how to use this data to get better results from your paid traffic without paying too much. Once you know how these metrics affect your campaigns and how to change them for the better, it won’t be long before you’re getting great results. CTR stands for clickthrough rate. It is often used in the world of paid traffic and can determine a number of things. 1. CTR is commonly used to determine how relevant your ad is in relation to the people you have targeted. If your ad has a great market-to-message match, the CTR should generally take care of itself. If people come across your ad whilst on Facebook or entering a Google search, they will probably click on it if it is relevant to them. However, if your ad is not relevant, no one will want to click on it. That is why CTR can be a useful metric when measuring the effectiveness of an ad. 2. CTR can also determine how much your ad is going to cost. This number is then displayed as a percentage. So imagine you were using Facebook advertising and 100,000 people saw your ad. Then imagine that 1,000 of those people decided to click your ad. That means that you had a CTR of 1%. Now, that might sound low, but you’d be surprised to find out it is actually a good number to aim for when it comes to Facebook Advertising. In any case, you need to remember something important. Each form of paid traffic is going to have its own ideal CTR. For search campaigns on Google Adwords, the CTR generally tends to be much higher than 1%. You should therefore avoid using one ideal CTR number across all platforms. How Does CTR Apply to Split Testing? As mentioned earlier, you want an ad with a high CTR. So if you have a number of similar ads, you might want to improve the winners by improving their CTR. A high CTR has the potential to reduce your cost per lead. That’s because you are now receiving more relevant clicks to your ad, and hence, more of these people will enter your ‘lead flow.’ This of course assumes that they find your landing page relevant. If all is well, this should eventually lead to more revenue for you. How Can You Improve Your CTR With Split Testing? To improve your CTR, you’ll want to create several versions of the same ad. You’ll then want to implement some differences amongst the ads being displayed. If you are using Facebook or Twitter, you might want to improve the targeting. Is your audience too broad or too narrow? If there are too many people seeing your ad, naturally you are going to have a low CTR. That is because you’re trying to reach too many people. If your ad is too narrow in its reach, it might not be reaching enough people to produce a good CTR. On Google Adwords, you may want to make your keywords more specific. Experiment with varying specificity levels when using targeting/keywords to improve your CTR. If you find that your ads are producing a low CTR, you can change the ad format. This generally involves creating a totally new ad that works in a different manner. If you are using Facebook Ads, you might find that newsfeed ads are able to provide you with higher CTR levels. If you are using Google Adwords, you might want to experiment with the display network. Keep in mind, however, that targeting is still a big focus. Your CTR will not rise in a productive manner if you’re just changing the style of ad and ignoring the importance of targeting. This is slightly different from the point above. Here we want to go after completely different groups of people. This is often a good idea when using Facebook Ads. If you have a winning ad, you could try using that ad with different targeting preferences. So for instance, if you were selling a weight loss product, you might decide to target people who were engaged and about to get married, instead of people who like fitness-related pages. As alluded to earlier, you could also work on your copy to max out results. You could take things further by mentioning in your ad the fact that these people might want to lose weight in time for their wedding. Your copy could be something along the lines of, ‘Want to Look Good in that Wedding Dress?’ This of course is just an example, but hopefully you get what I mean. You could also try targeting mobile devices. Some people find that their ads do much better on mobile devices. This all depends on the niche you’re going after. It also depends on what your giveaway is going to be, assuming you have one. 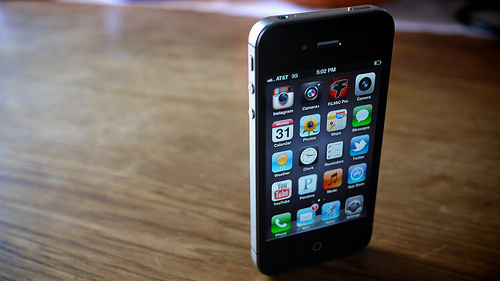 If your giveaway is a video, it might be hard to view on a mobile device. With ad platforms like Twitter and Facebook you will need to replace your ads on a regular basis. That is because your CTR will fall even if you had a great ad with great targeting. This tends to happen because the same pool of people are seeing are your ad and so will become satiated with it. After that, something known as banner blindness will begin to take hold. 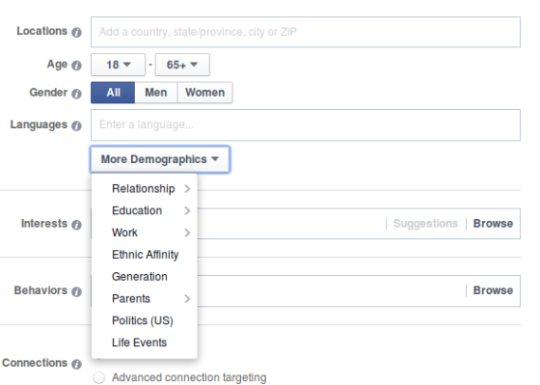 On Facebook, there is something known as ‘frequency.’ This lets you know how many times people have seen your ad. As this number rises, you’ll tend to find your CTR fall. Facebooks ad tip: as frequency rises, CTR falls. Read here for the fix. You should not try to raise your CTR for the sake of it. Just because people click on your ad does not mean that they are going to take an action on your landing page. If you have a crazy image on your Facebook Ad just to get clicks, you may be successful in getting a lot of clicks. Yet there is a big chance that a lot of these people will not find your landing page relevant and so will just leave. This is a phenomenon known as curiosity clicks and is to be avoided. You can minimize this by pre-qualifying people in your ad copy. As long as you are targeting the right people, curiosity clicks should be kept to a minimum and CTR should rise. On Google Adwords your copy should be used to screen out time wasters. CPC refers to ‘cost per click.’ It lets you know how much you are paying every time someone is clicking your ad. When using paid traffic, there is the option to use CPC or CPM (cost per impression). CPC tends to be the best way to go about things because it can provide you with some solid numbers. These numbers relate to how many people are clicking your ad and can eventually let you know how much each lead is costing you. With CPM, you will be charged in relation to how many times your ad is shown. Whether you are using Facebook Ads, Google Adwords or Twitter Ads, CPC can be a very dynamic number. Most ad platforms use a bidding mechanism. If there are a lot of people trying to target the same group of people, the average CPC will rise. If you bid too low, your ad might not be displayed. If you bid too high, your ad will get a lot of exposure, yet you will also end up spending a lot of money. In fact, with a bid that is too high, you will generally tend to spend way more than you need to. A CPC figure can change a lot, as your competitors are always starting and stopping their own ads. This means that they may or may not be bidding for ad space that you’d rather have, therefore causing price fluctuations. I have often found that if you try to be too cheap with paid traffic methods, you won’t get the best results. Of course don’t be frivolous with your spend, but keep in mind that sometimes paying what the platform suggests can bring the best results. Nevertheless, you can do some split testing on your campaigns to improve your CPC. Create two versions of the same ad and then experiment. Here are a few ideas. Who Has Your Competitor Forgotten About? For a start, you can use the same ad and target different groups of people. If you target people that your competitors have forgotten about, you might be able to make some quick wins. The low competition means bidding costs are low. However, keep in mind that in some cases, people are not targeting these people for a reason. 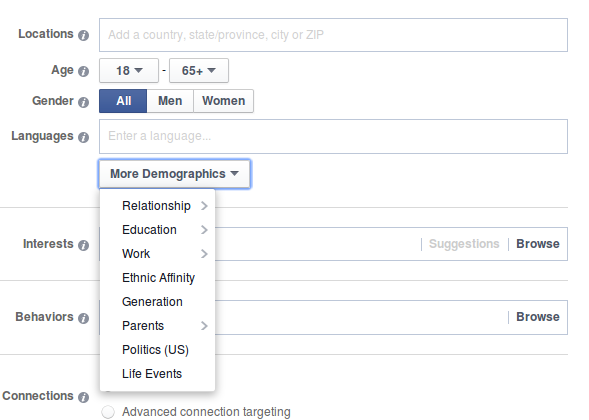 You can also experiment with how specific you are being with your targeting. This tends to vary depending on the niche. However, by making your ad targeting/keyword more narrow or broad, your CPC could fall whilst providing you with the equal results. Keep in mind that, to obtain a great CPC, it helps to look at the bigger picture. Remember ad platforms like Facebook Ads and Google Adwords tend to raise your CPC if your CTR is low. If you go do things that make your ad irrelevant, it could cost you either way. In order to keep things affordable, you’ll want to do all that you can in order to keep your CTR high. That will stop things from spiraling out of control. If you want to experiment with bidding amounts, there are a number of strategies that work. Many people find that it can be a good idea to let the ad platform pick the best bid for them. This gives them a chance to outbid everyone else by a small amount and give their ad the most exposure. You could also try using the lowest possible suggested bid and then slowly reducing your bid amount. Some people try to do this until their results are no good. It has the potential, however, to produce lower quality leads. EPC: The Most Important Metric? To be honest, I think that this is the most important number of them all. If your EPC is higher than your CPC, you are making money. To increase your EPC, you need to make sure that everything else has been split tested so it performs better. You cannot really split test your EPC directly. If you wanted to, the best EPC split test would be to try another traffic source. It is important I mention EPC because it tends to be the reason you are doing all of your split testing in the first place. After all, who cares if you have a high CTR if you’re not increasing your bottom line? Always split test and then refer to the change in results to see how they have affected your EPC. If you have a great EPC, you can afford to spend more on your CPC and expand your efforts. It is easy to get bogged down in the details when split testing paid traffic. By focusing on EPC you shouldn’t have that problem. When you want to split test, it is important that you are working with a good amount of reliable data. If your sample size is too small, you might not be able to make decisions that are effective, as you are working with incomplete information. It is therefore important for you to spend around $ 50–$ 100 before you make some major changes. You should try to do this over the course of a day. When you have done this, you’ll then know whether or not your results are repeatable. To get the best results from paid traffic, you will need to split test. In my opinion, the metrics mentioned here are the most important when it comes to split testing. The most important number of all is EPC. The points mentioned here assume that everything else already been optimized to its highest level. Delving deep into one aspect of your funnel can only bring you big benefits if everything is else is working well. All of this testing is often done in the name of making money. If your tests produce a higher income, you know you’re making some great wins. However, if they just produce some vanity metrics, it might be a better idea to focus on other parts of your funnel. Using the information here you should be able to test your way to success. In any case, try some of the tips mentioned and see how they work out for you. If you have some tips that have worked for you, feel free to mention them in the comments below. The post 3 Metrics You Must Know to Optimize Your Paid Traffic appeared first on The Daily Egg.